Tirthaa Basu from Calcutta, B.E. - B.Tech Graduate. CAMPAIGN MANAGEMENT CAMPAIGN MANAGEMENT .. 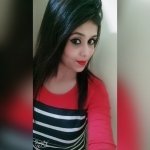 AD TRAFFICKING AD IMPLEMENTATION CAMPAIGN MONITOR DIGITAL MARKETING DISPLAY MARKETING CLIENT SERVICING DOUBLECLICK CAMPAIGN.. DOUBLECLICK FOR PUBL..
are one of expert skill area's of Tirthaa Basu . Tirthaa Basu is working in IT Software industry.